Jon is the Programme Leader for ARGOS. Hugh is an Agricultural Sociologist with long-standing research interests in the changing lives of farm households in New Zealand. His Ph.D research examined the impacts of Rogernomics on farms in the 1980s. His interest in sustainable agriculture began in 1994 and followed the fortunes of the Watties organics initiative in Canterbury. This initial case study of organic production by corporate New Zealand grew into a FRST funded programme called Greening Food: Social and Industry Dynamics which operated out of the University of Otago and the AERU at Lincoln University (working primarily with John Fairweather). Greening Food expanded slowly over an eight year period, undertaking case studies of the kiwifruit, pipfruit, wine and honey industries. It also conducted regional case studies of organics in Canterbury, Nelson, Golden Bay, Gisborne and Bay of Plenty. The success of this FRST programme lead to the establishment of the Centre for the Study of Agriculture, Food and Environment (CSAFE) at the University of Otago, and formed the basis from which the ARGOS programme was developed. Hugh brings to ARGOS his experience as the Programme Leader of a research programme examining the socio-economic dynamics of sustainable agriculture in New Zealand. He is also academically interested in a range of social dynamics around sustainable agriculture: household dynamics, knowledge and skills development, relationships between sustainable agriculture and industry, and global politics around trade in sustainable agriculture. Hugh oversees the Academic Management of ARGOS and is a co-leader of the "social" Objective with Associate Professor John Fairweather. John Fairweather likes to solve problems and do research well. His research usually involves working with sociological theory and methods to improving our understanding of New Zealand society, and in applied sociology to describe and monitor contemporary changes in farming, rural society and other aspects of contemporary society. His research role typically is to provide reports or documents that contribute to the needs of groups or organisations such as government ministries, businesses or non-profit groups. He is well rounded in his education with degrees in agricultural science and sociology, and has considerable experience with on-farm research. Current research includes public perceptions of biotechnology and documenting the phenomenon of smallholdings. Over the last 20 years his full-time research includes the topics of land use change and socio- economic consequences, farmer surveys and rural monitoring, studies of rural communities, farmer decision making and innovation, and general innovation and change. John is co-leader of the "social" Objective in ARGOS with Associate Professor Hugh Campbell. John also sees his role in ARGOS as facilitating good quality research that can be used by many to improve sustainability of primary production, and by making a contribution to the social science component of the programme. To balance his academic activities John likes to do practical forestry work on his 20 hectare woodlot specialising in alternative species, and building and making things that work well. Caroline has 20 years research expertise in the UK and New Zealand. She has over 100 publications specialising in agri-environmental issues and policy. Her research has focused on evaluating the link between economics and the environment. Her current research also specialises in evaluating trade and the environment, including an assessment of international market policies and their impact on the development of the NZ agricultural export sector. She has a track record in researching impacts of novel technologies on the agricultural sector, including the development of organic and GM food. She has undertaken research for a wide range of private and public bodies both here and overseas. These include the EU commission, MAF, MFAT, Treasury, MfE and various producer groups. She leads the "economics" Objective of the ARGOS Programme. Henrik leads the "environmental sustainability" Objective of the ARGOS project. He has over 25 years of experience studying the ecology and control of introduced species in New Zealand, sustainable harvest management and conservation of threatened species. Henrik teaches wildlife management part time at the University of Otago and works as an ecological consultant for ARGOS for the remaining time. Work on introduced wasps and their biocontrol led on to research on cats, ferrets, stoats, rabbit and rat impacts on native biodiversity and how best to control them. Henrik's research highlighted the importance of ferrets as wild animal vectors of bovine tuberculosis in farming landscapes. Another study assessed the conservation value of beekeeping and whether honey bees sometimes promote weed problems. Henrik was part of a MAF team that assessed gaps in knowledge and research priorities to promote more environmentally friendly farming and forestry in New Zealand. He is a passionate advocate of conservation through sustainable use and farmer-led approaches to simultaneous capturing of the best economic, social and environmental outcomes for farmers and their communities. Tena koutou. John's iwi is Ngati Pikiao. He is the contracted leader for Ngai Tahu Development Corporation's He Whenua Whakatipu research objective. He is currently a Ph.D. candidate at Lincoln University, with a resource management honours degree in community forestry. He has a trade in landscape construction and has operated his own business in this industry. He has also worked as a farmer. For the past three years John has undertaken action research and development, through his Ph.D., with flax-roots Maori communities adopting organic farming methods in Taitokerau and Tairawhiti. His research has primarily focused on the interaction between indigenous people and modern technology. In particular he has focused on distinguishing the different modes of indigenous development that arise when relationships with modern technology differ. John is now contracted by Ngai Tahu Development Corporation to investigate how the Ngai Tahu whanui can develop sustainable development pathways for their land-holdings. He feels that it is an honour for him to be leading this work. 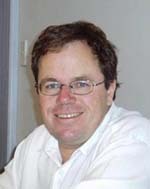 David Norton is an Associate Professor at the University of Canterbury and a subcontractor within the environment objective. His research interests include conservation biology (especially fragmentation and restoration ecology, significance assessment and threatened plant conservation) and integrated land management (especially involving biodiversity in agricultural and plantation forest systems). His current research focuses on integrating pastoral and biodiversity values in the South Island high country and includes projects looking at integrated management planning, habitat use by merino sheep, photomonitoring as a management tool, effects of different management actions on biodiversity. He is also involved in research projects assessing the affects of subsidence resulting from underground coal-mining on podocarp-beech forest, mine-site restoration, and ecology, conservation and restoration of threatened plant species. David is a Fellow of the Linnean Society. Dave is the Field Research Manager for Sheep and Cattle. He is now based in Christchurch after 20 years of sheep, cattle and dairy farming. His role in the ARGOS Programme is to coordinate the 'on the farm' research, facilitate discussion groups and manage the relationships between farmers, other stakeholders and the research team. He enjoyed his farming career and now wants to help enhance the agricultural industry, which he firmly believes this research programme will do. Jayson is the Field Research Manager for kiwifruit. His main responsibilities are to identify and recruit suitable orchards and to co-ordinate and assist in the research that will be carried out on those orchards. While ARGOS brings together a number of specialist researchers, Jayson will be the face for the kiwifruit industry. Jayson is a graduate of Massey University and has a Horticulture degree and a Ph.D. in Plant Science (kiwifruit production). Recently, Jayson has worked within Zespri Innovation where he gained a valuable insight into the kiwifruit industry. Jayson brings to ARGOS a good grounding in kiwifruit production issues and a strong science background. Lesley has had what could be called a varied career! It started with lecturing in statistics for three years in the Maths Department at Otago University after graduation with a B.Sc. (Hons) in mathematics in 1968. Then she had a year teaching in schools in London, following the typical Kiwi OE pattern, then eight years in Te Kuiti, starting a family and doing some maths and physics teaching. In 1981 she moved to Christchurch where she has been ever since. In this time she has lectured a course in research methods to social work students at the University of Canterbury for twelve years, learned the piano and then become a piano teacher, spent seven years as a part-time biometrician with AgResearch at Lincoln, trained as a secondary teacher at the Christchurch College of Education, and recently completed a PhD at Lincoln University. The PhD was an organisational ethnography which studied why employees doing science in a particular Crown Research Institute were unhappy at work and what they did about it. It was titled 'Compliance at work: protecting identity and science practice under corporatisation'. She now works as a researcher with the Agribusiness and Economics Research Unit at Lincoln University, hence her association with the ARGOS programme. With her skills and experience she can bring to the fore the views of farmers and growers on sustainability and how these people working on conventional and organic farming systems make meaning of their work. Chris is a member of the social objective team and, together with Lesley and Carmen, has the responsibility of interviewing farmer and grower participants in ARGOS . He comes to the project as a geographer with research experience in both social and environmental aspects of agriculture and sustainable production. His Ph.D. thesis ( University of Wisconsin-Madison , 2004) examined the response of small-scale yerba mate producers in Brazil and Paraguay to the new economic demands of regional free trade in MERCOSUR. The varied experiences and interpretations of producers with free markets provided the principal focus of the thesis. In earlier research, he has worked with both farmers and agriculture extension agents in Costa Rica, the United States, and Germany. He also has personal experience in extension and development activities stemming from 2+ years of service with the US Peace Corps in Paraguay. Chris expects to learn a great deal about agricultural production in New Zealand and looks forward to contributing to discussion about and promotion of sustainability in the sector. Peter is a soil scientist with over 25 years experience in analytical and applied research. He began his own company in 2004 (LRS -Land Research Services Ltd.) managing research programmes in soils and water for a range of clients including CRI’s, Universities, regional councils and private companies. Current themes include sustainability of NZ farming systems, farm runoff and water quality, improving water quality of dairy effluent, nitrification inhibitor field trials and development of new soil test procedures. He has written and presented a number of papers on the above subjects in conference proceedings and has published on a number of topics in international and national journals. Peter is based in the Soil and Physical Sciences Group, Lincoln University. Andrew Barber’s primary role in the ARGOS project is to examine resource use, and total energy and carbon indicators. The intention is that by using a Life Cycle Assessment (LCA) approach the ARGOS team will be able to develop interdisciplinary linkages by examining potential environmental impacts with actual impacts. Having graduated from Massey University he has been involved in engineering consultancy for over 10 years, initially with Agriculture NZ and now as director of AgriLINK NZ which is a member of The AgriBusiness Group. He has previously worked on energy analysis for the dairy industry, outdoor vegetable and arable industries, the greenhouse industry and the kiwifruit industry. Most of this work has been initiated by market demands, either actual or future perceptions, to account for energy use and carbon emissions and to provide quantifiable environmental indicators. Andrew was a co-author of the MFAT Food Miles report “Food Miles – Comparative Energy/Emissions Performance of New Zealand’s Agricultural Industry” and co-author of the EECA Biodiesel report “Embodied Fossil Energy and Net Greenhouse Gas Emissions from Biodiesel made from New Zealand Tallow”. Both these reports relied heavily upon ARGOS data. Andrew also manages the Franklin Sustainability Project which is a long running initiative by outdoor vegetable growers, primarily in response to soil erosion but which also encompasses a whole range of sustainability issues. This multi stakeholder project was the recipient of an MfE Green Ribbon Award in 2000. Coming from a farming background Chris studied Environmental Management at Lincoln University. He went on to work with the intellectually disabled, teaching them how to grow organic vegetables while also working as produce distribution manager. After an extended stint travelling Chris returned to Canterbury and began work as a researcher at the Agribusiness and Economics Research Unit. He is also currently doing a masters in environmental and agricultural economics. Chris’ interests lie in sustainable farming, oat chaff and environmental systems, in particular the relationships between farming and the maintenance of natural systems. Catriona MacLeod, an ecologist based at Landcare Research (Dunedin), came to New Zealand shortly after completing her training in Scotland. Although only intending to stay for a year, she is still here ten years later! While her research covers a wide range of topics, a primary focus has been the impact of land management practices on farmland bird populations. In particular, Catriona has worked closely with the Foundation for Arable Research, using pest bird ecology to inform damage control strategies. Before officially joining ARGOS as Science Leader for the environment team in 2009, Catriona was a long-standing collaborator, co-authoring several papers with ARGOS researchers in international and national journals. By enhancing our understanding of the impact of agricultural practices on New Zealand’s environment, Catriona hopes to better inform the debate on the costs and benefits of different management approaches.